These are said to be ambitious targets in the context that the sector is still poorly developed. Since the city’s Decision 15/2017/QD-UBND to help businesses develop the manufacturing and supporting sectors took effect on April 24, 2017, the Department of Industry and Trade has received applications from 11 projects. It has appraised nine projects requiring a total investment of 943.2 billion VND (US$41.4 million), and two of them with a combined investment of 222 billion VND have been approved by the People’s Committee for interest-subsidised loans of 110 billion VND. The department has also coordinated with the State Bank of Vietnam to organize bank-business linkage programs to actively help enterprises borrow money. It has signed a memorandum of understanding with Vietinbank for a credit package of 10 trillion VND (US$438.59 million) for manufacturing and parts supply companies. In the first quarter of this year, the department also organised some other activities to enable parts manufacturers to market their products. 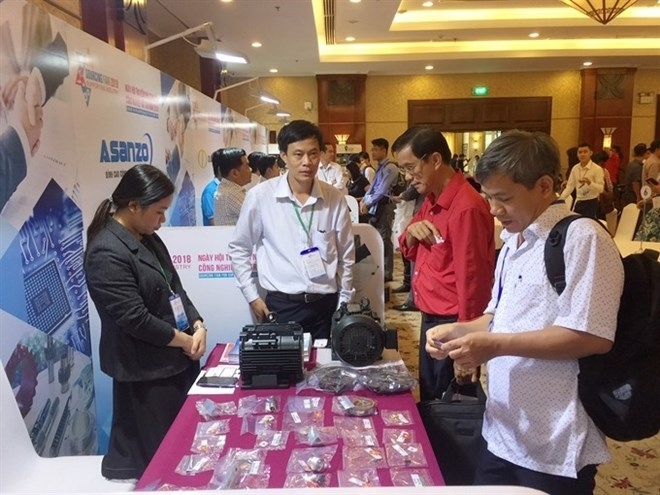 They included a sourcing fair for connecting supporting industry with buyers, which featured more than 230 business-to-business meetings between 17 local and FDI firms in the electronics, automobile and mechanical engineering sectors and 80 local part suppliers. The department’s Center for Supporting Industry Development has built a comprehensive database for the industry at http://csid.gov.vn with information about 530 out of the 860 supporting industry enterprises based in the city. This would help parts suppliers and buyers understand each other’s capabilities and explore tie-ups. 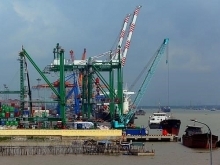 The department has also worked with industrial parks and processing zones, and many of them such as Tan Thuan, Hiep Phuoc, Linh Trung, and Dong Nam processing zones plan to earmark areas or develop high-rise factories for supporting industry at reasonable rentals to meet demand. According to economists, there is huge demand for spare-part products, but domestic production is unable to meet it. HCM City has certain advantages as it seeks to develop supporting industry. 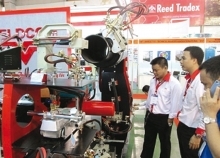 Tran Anh Hao, head of the department’s industry division, said the department would review the investment stimulus program with regard to the manufacturing and parts sectors to submit to the city for approval. 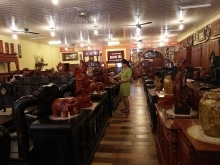 It would also build a program to develop the sector, identify the most promising products this year, provide training and evaluate the local content rates in the city’s four key industries (food processing, chemical-rubber, mechanics and information technology) and two traditional industries (garment and textile, and footwear), Hao said. The city has rolled out practical support policies for enterprises to invest in upgrading their machinery and equipment and technologies, thereby increasing local content rates and enabling them to take part in the global supply chain, the department said.